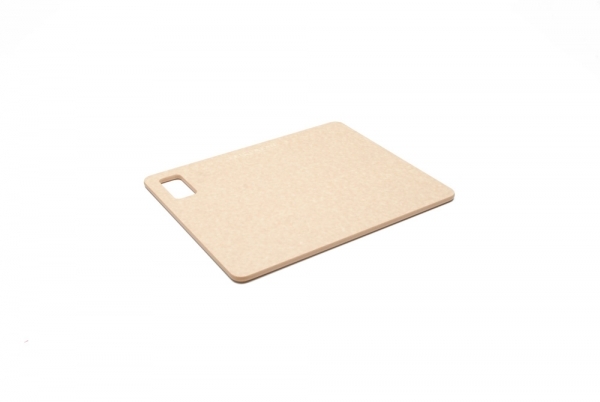 Introducing a greener cutting board. Although all Epicurean® cutting boards are made with Eco Select paper, our new line of Recycled cutting boards raises the bar. These surfaces are the perfect fit for the environmentally conscious epicure. As the name suggests, these surfaces are made with 100% recycled paper. These Recycled surfaces boast most of the features of other Epicurean® products including stain and heat resistance, knife kindliness, and the ability to wash in the dishwasher. The Recycled cutting surfaces feature a modern design with a squared silhouette.